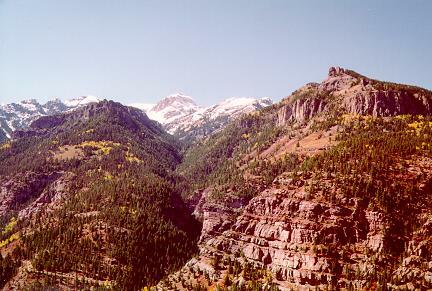 On October 3, 1996, we drove to Ouray, Colorado to celebrate our three month anniversary. It was absolutely wonderful! The Inn where we stayed has a full-service spa, and an outdoor heated pool - heaven! The restaurants are really interesting too. Between shopping and eating in town and taking incredibly scenic drives, we were so happy, we never wanted to leave! We spent our first anniversary at the 10,000 Waves spa and haciendas, in Santa Fe, New Mexico. We didn't take a camera, so I can't show you any pictures. Images are 100 pixel width thumbnails. Click on any image to see a full-sized version. See also, the wedding pictures. 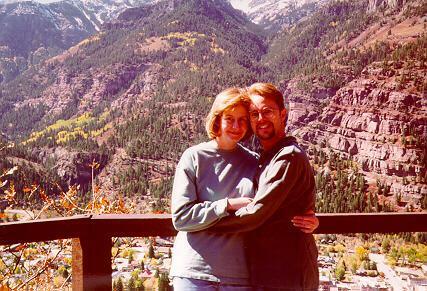 This is Susan and Randall, overlooking the town of Ouray. 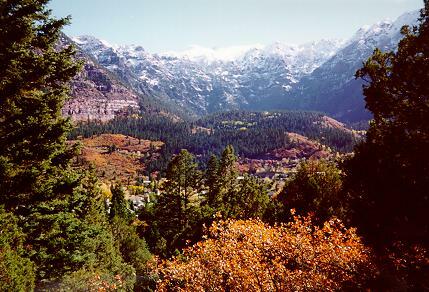 Some of the mountains surrounding Ouray. 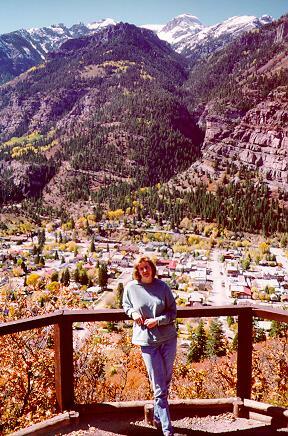 Susan, overlooking the town of Ouray. 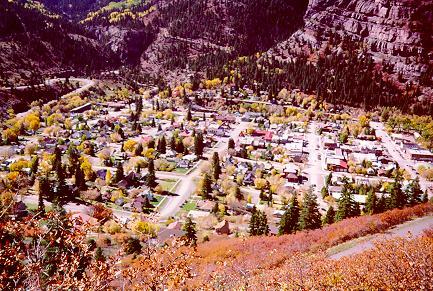 The town of Ouray, nestled in the mountains. Susan and Randall, on our tour of the San Juan Skyway. 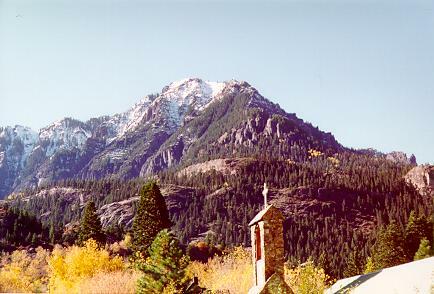 One of the mountains surrounding Ouray - historic Catholic church spire is in the foreground. 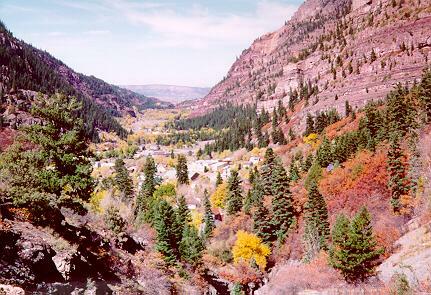 Another view of the town of Ouray. 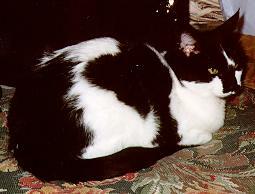 This is Schnitzel, the resident cat at the Wiesbaden Inn (where we stayed). 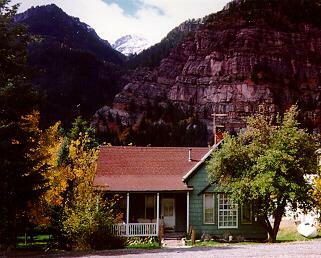 This is the little historic house we stayed in. 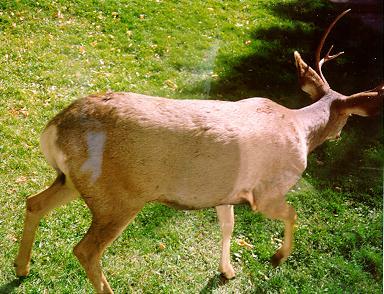 A deer, snacking outside the window at the house.